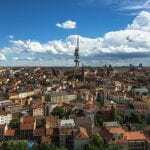 Where to Stay in Munich – A Guide to the Best Boutique Hotels in Munich! Are you looking for the best boutique hotels in Munich? Great, we’re here to help! Bavaria’s bustling capital, Munich, is the second largest city in Germany and home to some of the most stunning architecture in Europe. Despite being renowned as the home of the annual Oktoberfest beer festival, Munich has much more to offer than beer. 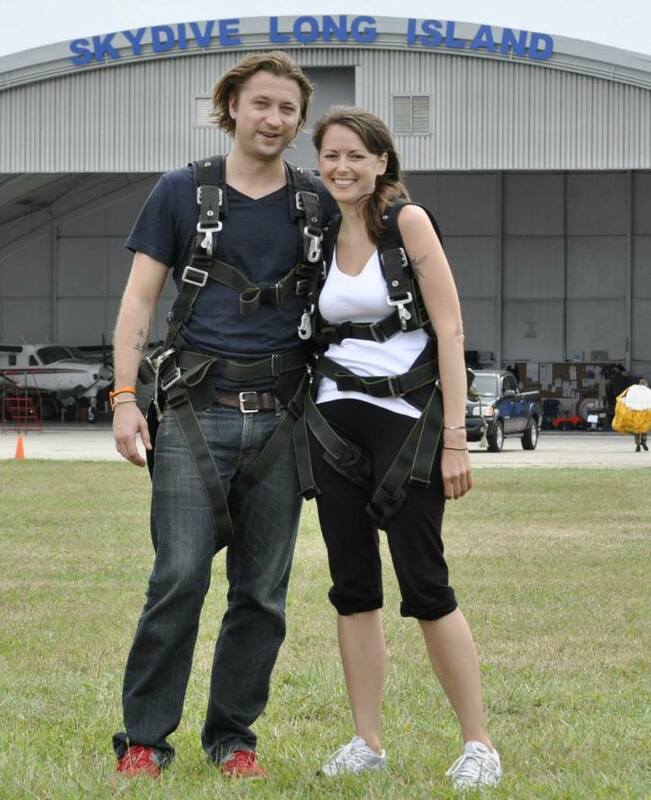 Although, we don’t rule that out as something you definitely need to try while you’re there! Munich is becoming a tourist hotspot, tempting more and more travels each year, particularly during summer and the festival season. If you decide to visit the city during Oktoberfest, you’ll be lucky enough to see Bavarian traditions come alive, that includes the male population adorning themselves in lederhosen and the female population donning dirndl! 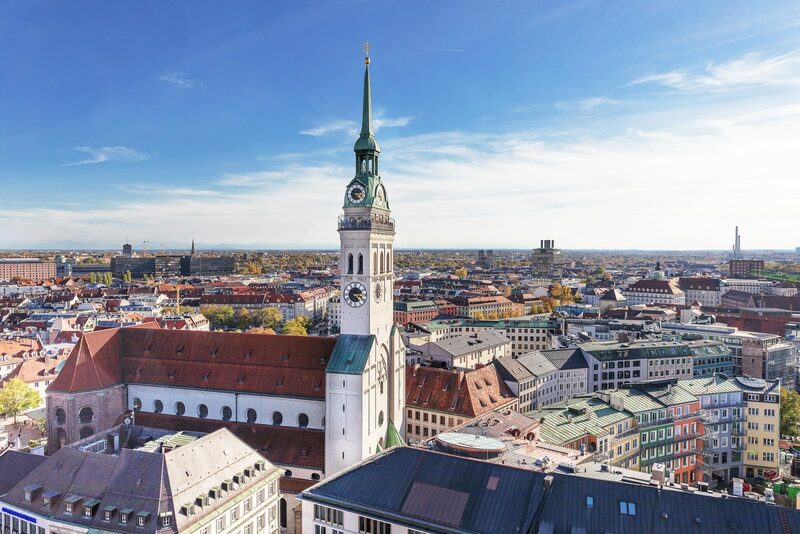 Whether you like history or art, or beer halls and drunken revelry are more your thing, there’s plenty for everyone to do in Munich. 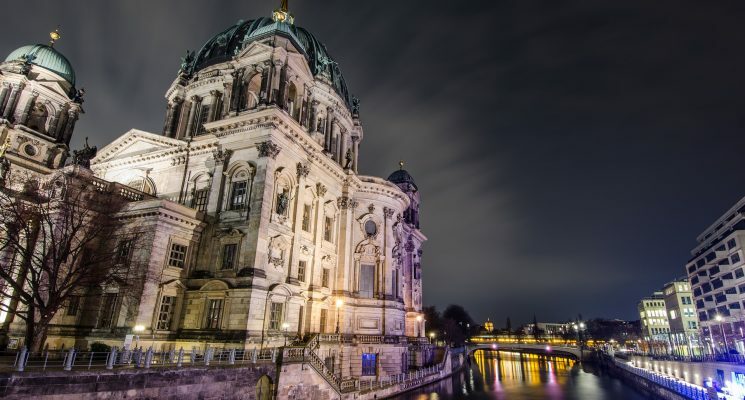 International cuisine lines the streets, green parks are dotted around the city, and some of Germany’s most magnificent castles and palaces are located in the surrounding countryside. Experience Munich in style by staying at one of the best boutique hotels in Munich. Here is our guide on where to stay in Munich – the best boutique hotels in Munich. 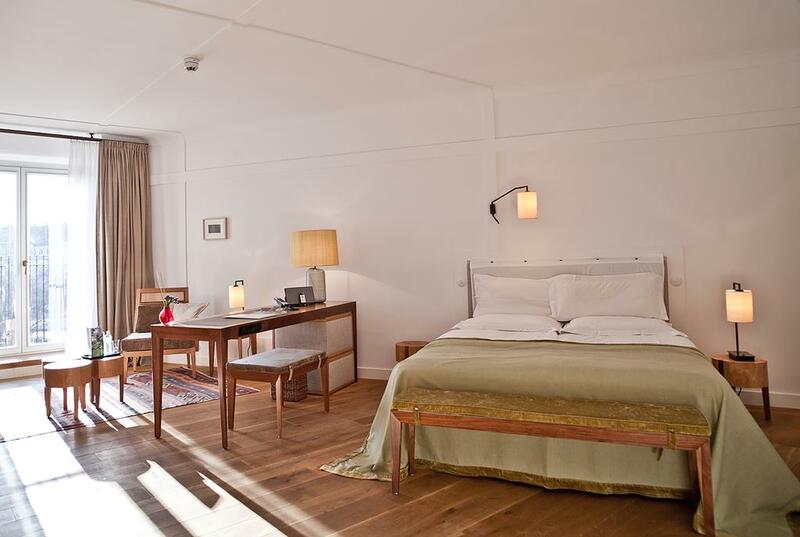 Treat yourself for once and stay at one of the best boutique hotels in Munich. LOUIS Hotel is a boutique design hotel that combines style and comfort with a fantastic central location. LOUIS Hotel’s modern and minimalist design contributes the distinct atmosphere of this boutique hotel by giving the place an air of effortlessness and relaxation. Offering a variety of rooms, each is decorated with furniture made from walnut and oak, and a thematic dull olive green color gives the rooms a soft and relaxed feel. Located in the centre of Munich, near the famous Viktualienmarkt, the Old Town is right on LOUIS Hotel’s doorstep. Underground and S-Bahn stations can be found at Marienplatz which is only a two minute walk away, so you can easily connect to the rest of the city. One of the best things about LOUIS Hotel’s is its unique Japanese restaurant that’s loved by guests and locals alike. Enjoy delicious Japanese specialities while taking in views of the surrounding city. If you decide to eat here, expect an authentic Japanese experience as dishes are placed in the middle of the table for you to share and talk, making the act of eating dinner a social experience. LOUIS Hotel is also an excellent choice for vegans and vegetarians traveling to Munich as they have a massive all vegetarian and vegan brunch each morning that guests can fill up on before exploring the city. The LOUIS Hotel’s bar also offers a wide selection of drinks for you to choose from, so you can relax in the evenings. There’s also a Finnish sauna so you can let off some steam (get it? ha…ha). If you’re wondering where to stay in Munich and are seeking a luxury experience, look no further! CORTIINA Hotel is a one of the best boutique hotels in Munich due to its fantastic location and comfortable, homey atmosphere. A design hotel if we ever saw one, CORTIINA Hotel almost feels like an artists apartment in New York. Rooms include quirky feature walls and patterned rugs, are airy and spacious, and have wooden floors and stylish designer furniture. There are a variety of room sizes available for reasonable prices, each featuring uniquely designed furniture, a flat screen TV and impeccable cleanliness standards! Continental breakfast or buffet can be booked for a fee. The Viktualienmarkt market is only a five minute walk from CORTIINA Hotel, so you can buy delicious locally sourced foods during your stay. Munich’s famous Marienplatz square is also a five minute walk away, and provides links to the rest of the city through its railway station. If you’re a wine fan then CORTIINA Hotel is definitely the right boutique hotel for you. There’s a wine restaurant on site and serves delicious wines picked out by CORTIINA’s in house sommeliers, as well as a range of cocktails, dinner, and tasty snacks. So, if you’re wondering where to stay in Munich, looking for a hotel with an ideal location, wonderful atmosphere and attentive staff then CORTIINA Hotel is a spectacular option and one of the best boutique hotels in Munich. Hotel Laimer Hof is a quaint and family run boutique hotel in the heart of Munich’s Nymphenburg district. Although it’s seven km away from the center of Munich, its cozy atmosphere and great hosts are just a few of the reasons why it’s one of the best boutique hotels in Munich. 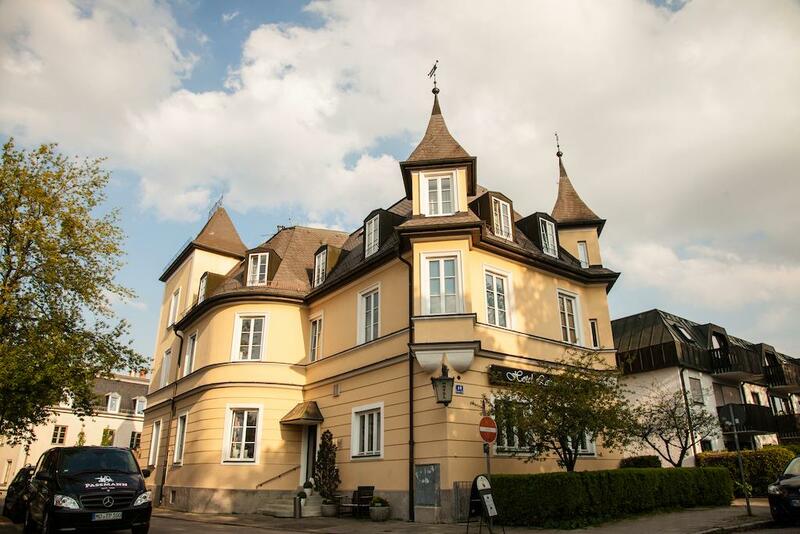 Set in a Neo-Renaissance villa, Hotel Laimer Hof perfectly combines classical architecture and style with a homey atmosphere. It’s endearing and comfortable, and the friendly owners are always on hand to help in any way they can and make your stay as pleasant as possible. Their exceptional buffet breakfast is a must-try, and includes fruits, any style eggs, muesli, and freshly baked bread from a local Bavarian bakery. Laimer Hof is situated at the foot of Nymphenburg Palace, a stunning Baroque establishment which was a lavish summer house for former Bavarian rulers back in the day. The palace is surrounded by stunning gardens filled with statues, flowers and water features, and is a great place to spend an afternoon in the German sunshine. 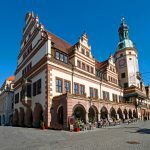 Visiting the palace is a great day trip from Munich, and an even better outing if you have a relaxing hotel just 400 metres away to come back to. The quiet surrounding area is one of the best things about this hotel. It’s the perfect accommodation option for honeymooners or couples as the area is full of romantic walks and cosy restaurants and bars. Hotel München Palace offers a luxury hotel experience in the heart of the city. Although it’s only 500 meters from the centre of Munich, this hotel feels more like a resort retreat rather than a central city hotel. 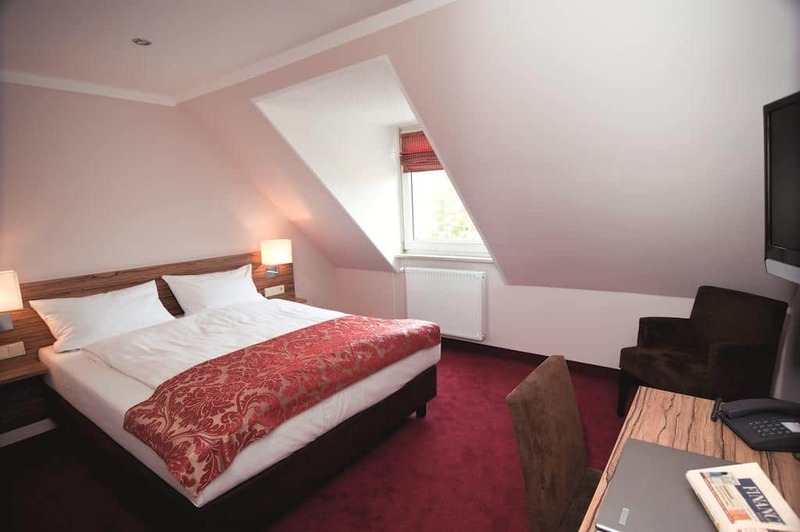 Situated on the banks of the River Isar, close to the English Garden, the hotel is just a five minute walk away from the Max-Weber-Platz Underground Station which provides convenient links to Marienplatz as well as the central train station. Rooms at hotel München Palace are elegant and modern, providing you with everything you need for a relaxing stay in Munich. Indulge yourself with the free mini bar, flat screen TV and marble bathroom that will have you feeling like you’ve stepped into a celebrity’s home. If you want to take the experience to the next level why not try the hotel’s airport chauffeur service… in a porsche! Some of the hotel’s facilities include a spa and steam room, a gym, and a restaurant serving delicious international cuisine. Just a warning though, you might not want to leave the hotel. Hotel München Palace is definitely one of the best boutique hotels in Munich, and a great choice if you love to live the life of luxury once in a while. With pop art covering the walls and retro furniture and decor in the rooms, this hotel is themed around the art world of the 60s, but with all the modern facilities of the present day. Rooms are spacious and provide guests with everything they need, embodying the agenda of the pop art world with depth in simplicity. Arthotel has a bar onsite, where you can sip delicious cocktails from those weird egg shaped chairs that movies make it feel like everyone sat in during the 60s. Weird and wonderful statues and paintings adorn every corner, giving the hotel a contemporary gallery feel, and providing you with distractions whenever you might need them! There’s a fantastic buffet breakfast available, serving fresh fruit, breads, and some of the best coffee around. 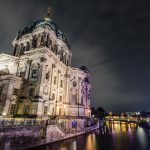 This hotel is in a great location, just five minutes from the central train station and the site of the infamous Oktoberfest, so you can plan your stay accordingly (whether that’s something you want to join in or avoid at all costs). 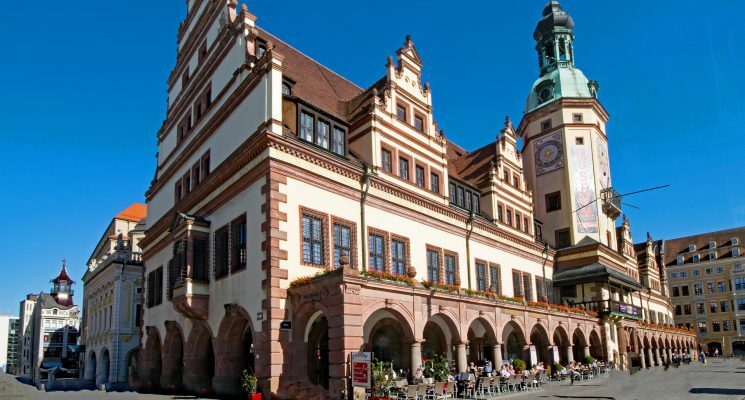 The area is filled with restaurants, bars and stunning Bavarian architecture. 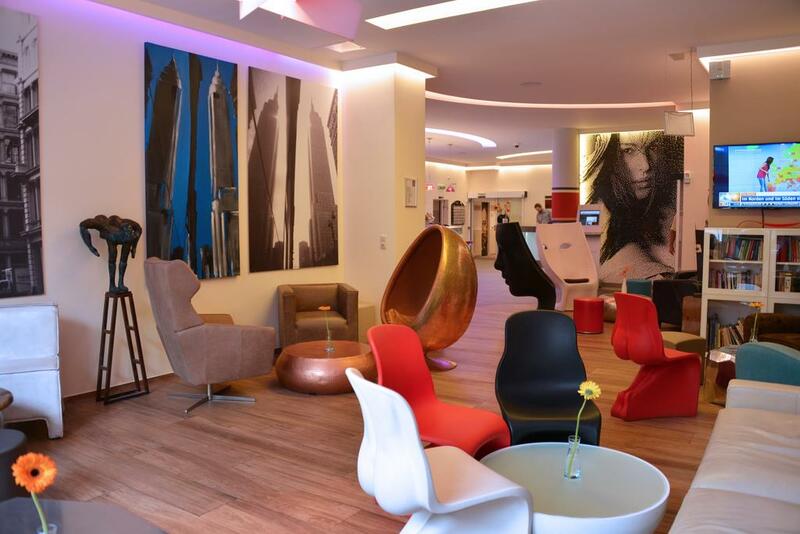 Arthotel Munich is one of the best boutique hotels in Munich if you’re seeking modern and stylish accommodation, or you’re just an art lover in general! Hotel Wetterstein is one of the best boutique hotels in Munich, offering free bicycle hire in the peaceful Harlaching district of the city. Hire a bike and spend the afternoon cycling three km to the banks of the river Isar and the Perlacher Forst forest in the sunshine, or make use of the convenient public transport links to the surrounding city. Offering double rooms and suites with street views, this hotel perfects “simple yet effective”. 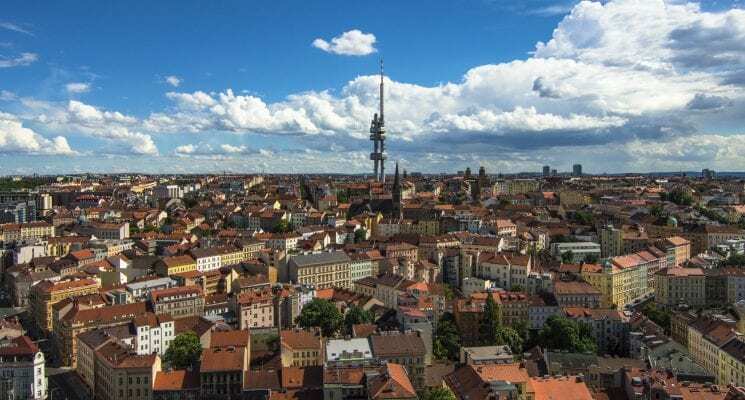 Highly rated for its clean facilities and super friendly staff, this hotel has everything you need to enjoy your time and explore the calmer, less seen areas of Munich. A buffet breakfast is available each morning for a small fee, and includes fresh fruit and flavorful coffee to energies you for the day ahead. There are many bars and restaurants in the area, where you can find great German cuisine and, of course, beer. Hotel Wetterstein is one of the best hotels in Munich if you prefer to escape city chaos while still maintaining great city access links.